I was too busy to go over the cue sheet and map our team captain had sent us. Bad Carlos, this time it was the exception not the rule. After looking a little more at the new section of fire roads we would be traveling it was obvious to me it was possible to shave at least 500ft of climbing in case we needed the extra time. Sent my "shortcut" to Captain John Cranky and just forgot about the whole thing for 2-3 weeks. The week before the ride I was very busy and had not been sleeping well. The night before the event was more of the same, no sleep but I figured this was such an easy event and our route had not much climbing I would be fine. Meet with John and Juliayn on BART and went to meet Andrea in downtown Oakland. 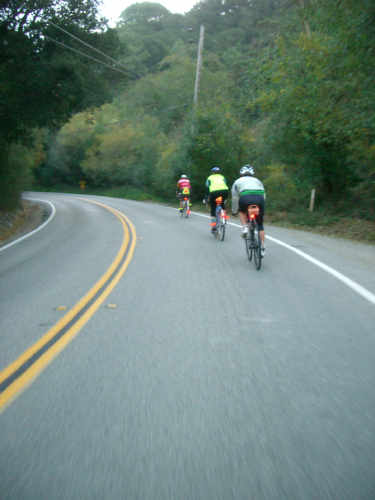 At 6:40ish am the four of us were rolling towards the hills. Last year, when we rode a very similar route for this same event, it was raining and very dark. This time we had colder temperatures and a very sunny start. I rather have sun any day. We arrived on the other side of the hills into suburbia and followed pretty much the same bike/pedestrian paths as last year. This time they were busy with weekend warriors on their Saturday morning routine. Still the paths were very pleasant to ride. After many more miles of suburbia streets and bike paths we finally made it to Black Diamond Mines Regional Preserve. This section was all new to us and as tired from the lack of sleep I was looking forward to the new fire roads. The trail starts with a gentle climb and little by little it becomes a different beast. Nothing we could not handle but the fire roads surface was very dry and cracked after months of heat and no rain. On the downhill sections the bumps were shaking our bikes and bodies pretty well. Some sections were steep... and some other steeper. At one point they paved the road as the path follows a ridiculous steep section. Scenery was great and we did not see many trail users on the most remote areas. 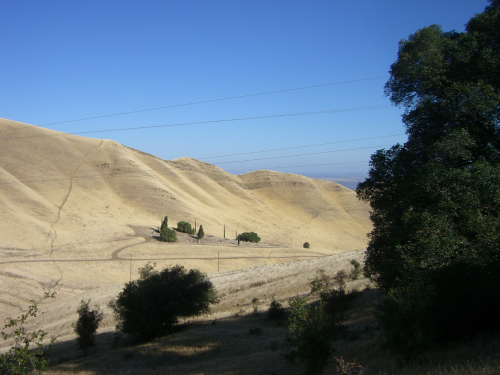 Hills of this once coal mine operation were brown and dry. I can't imagine riding this on the middle of a hot summer day or during the rainy season when the soft soil probably would turn to mud. However today was a great ride trough the park. I'm very glad John included this fire roads into our route. After descending a bit we got to the point where I had mapped an alternate easier way out of the park; we replenish our water on the water fountain by the parking lot restrooms and since we were way behind schedule we followed that route. More suburbia and some more bike paths to our lunch break in Brentwood at a Vietnamese place. Food was just ok but while there John adjusted Andrea's rear brake which had been tightening as we rode, I think what happened is the inline adjustment barrel was installed backwards so vibration loosen the adjuster and tighten the brakes. Go figure. After lunch it was time to ride the crappiest part of our route, Hwy 160 and the Antioch Bridge. What a depressing place. Traffic on the bridge was no to bad but the scenery and road conditions on Hwy 160 were uninspiring. Rio vista was out next Control. This little town has a bar I wanted to stop and have a beer since I went in last year but we were still running late so the beer would have to wait one more year. We had a quick coffee across the street at the bakery and moved on to what I knew it would be another highlight of our day. The Delta. It all starts with a dead flat 2mile ride to the Real McCoy II ferry, yes that is the name of the ferry. 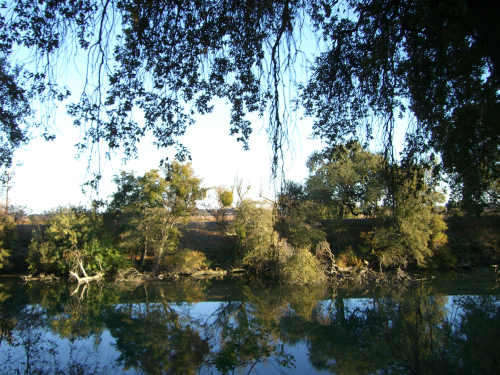 We waited for about 20 minutes and then boarded to cross the Sacramento River. The actual crossing takes less than five minutes and once on the other side we had the flat road all for us. Miles of flat riding next to the calm waters of the river and and great company made for this a very enjoyable segment. 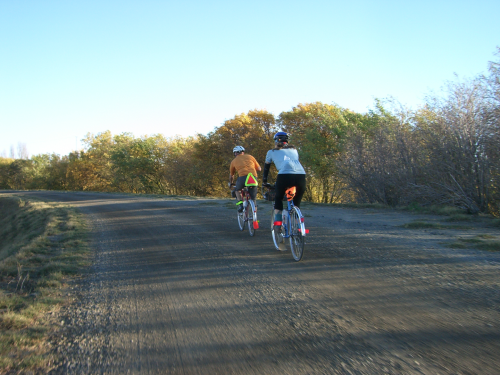 We crossed the river once more and rode on the other side but now over very bumpy gravel. It was fun but I was glad when the pavement returned. 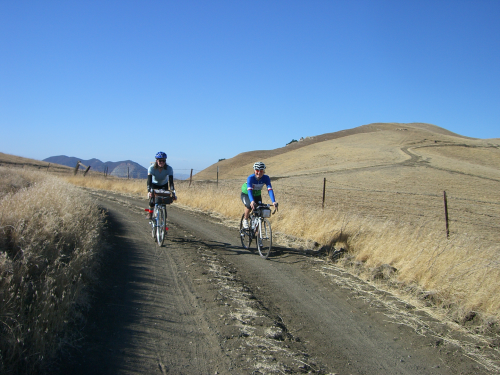 More miles of unbelievable flat scenic riding followed and before we knew it we were at our next control in Clarksburg. Mr Cranky Captain demanded I bough him a bottle carbonated water for his birthday which had been a few days back. I had already fulfilled my friend obligation when I bough him a sandwich on a ride from San Francisco to Pescadero the weekend before but in the interest of not having to hear complains for the next miles I got him his present... for he second time. I'll demand 3 gifts when my birthday comes. Our night, reflective gear went on and we continued to Sacramento a few miles ahead. The next Control was in Sacramento proper at the great Sacramento Natural Foods Co-op. We were now on schedule. After some nice minestrone soup we left towards the Final Control. When we joined the path parallel to Hwy 80 my team members complained my bike's rear derrailleur had been making squeaky noises all day but I think they were just jealous or something, I had been thinking all day it was one of their bikes making the noise. I rode way ahead of them to avoid hearing more "quejas' (complains) and when I got to the end of that section I saw they had been joined by another team who had left half an hour earlier than us so that meant we were way ahead of time. Stopped at a gas station to burn some time and then rode the last couple of miles to the Final Control at Sudwerk where volunteers received us with cheers and fanfare. Service at Sudwerk was not great but not because of our waitress, she was fine, but because they had assigned only her to helping, what looked to me, 40-50 hungry randonneurs. My pulled pork sandwich was ok, not great but not awful. My pilsner was also ok. Other randonneurs mentioned they did not care much for their beer but I don't know what they got. I did have a taste of one of the other beers and yes it was not good. It seems to me finding a good place for finishing a randonneuring team event is a challenge. The either have so so food or service or are too small to accommodate the size of the crowd, or all of the above. I still had a great time hanging out with other teams. At 9:00 we left towards the Amtrak train station in town. This time the crowd was very large, mostly made of San Francisco Randonnuers riders. I jumped on the last car, hung my bike on the rack and went up where I found Juliayn, John and Angela, (the other Colombian SFR member) sharing a table; joined them with my water bottle full of leftover beer. After a few minutes Steffen, Erick and others joined us all with their respective beers in hand. I like the fact you can buy beer on the Amtrak train. Shared stories and after about an hour got to Richmond were us, SF bound riders changed train into BART. We missed the connection by a minute or so and waited a little for the next train. Got home around midnight where the dog jumped like a crazy frog welcoming me. That was it. One more great team event behind, I'm looking forward to next year's team events and other interesting-to-me randonneuring events.